Page 7 to a seven page story called "Toothpaste Run". 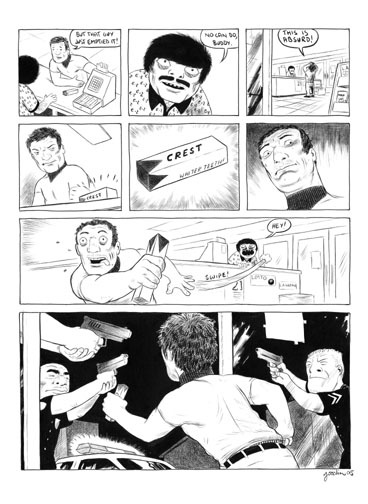 It is in my new mini-comic called après-shampooing. More information on that can be found on my website. The comic page is ink on 16" x 12" bristol.